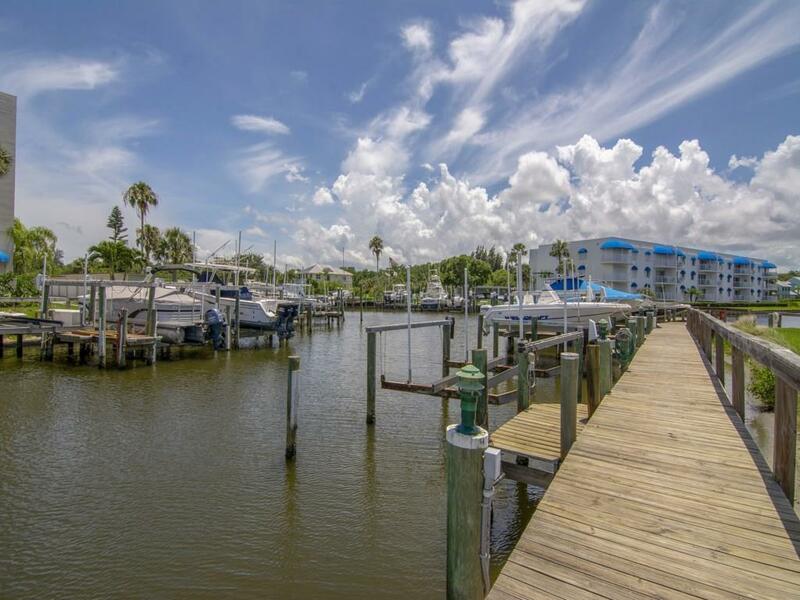 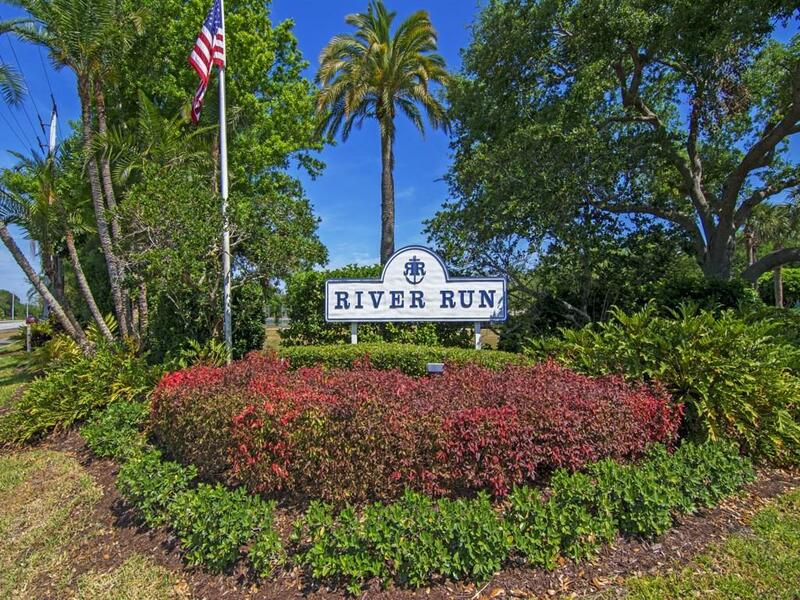 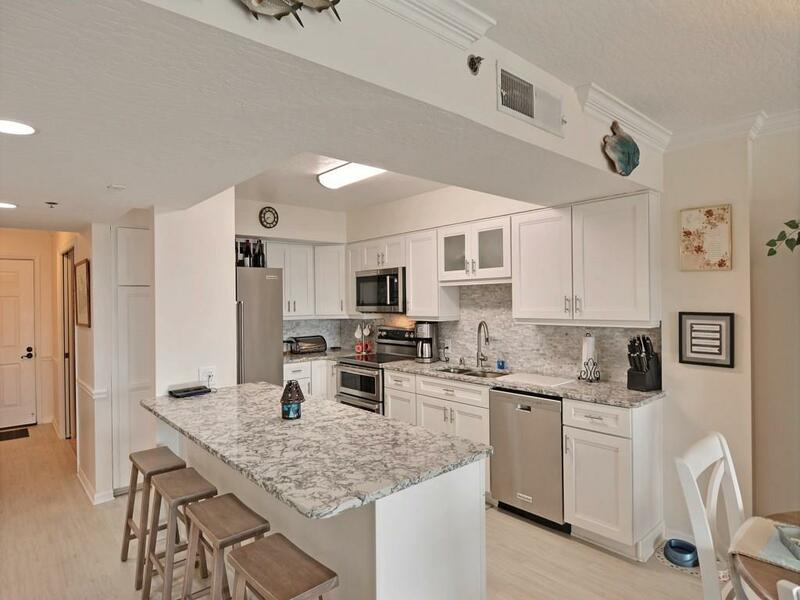 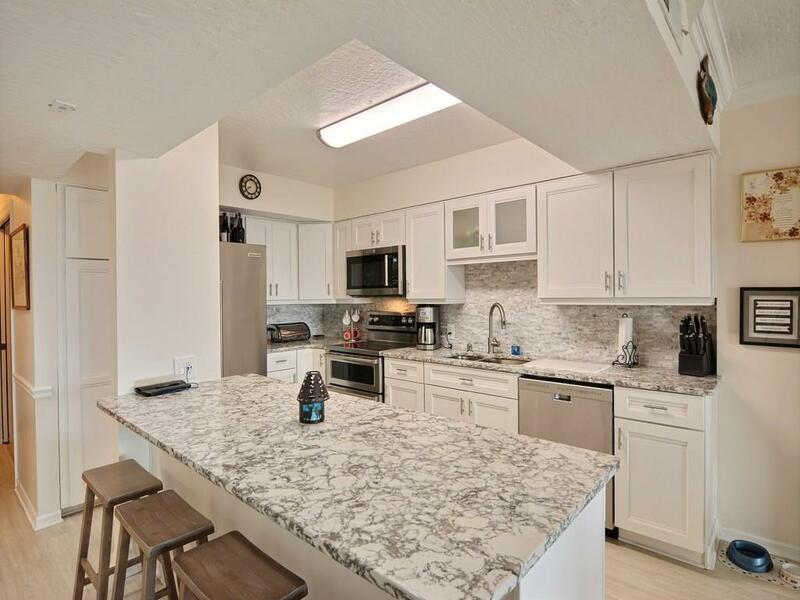 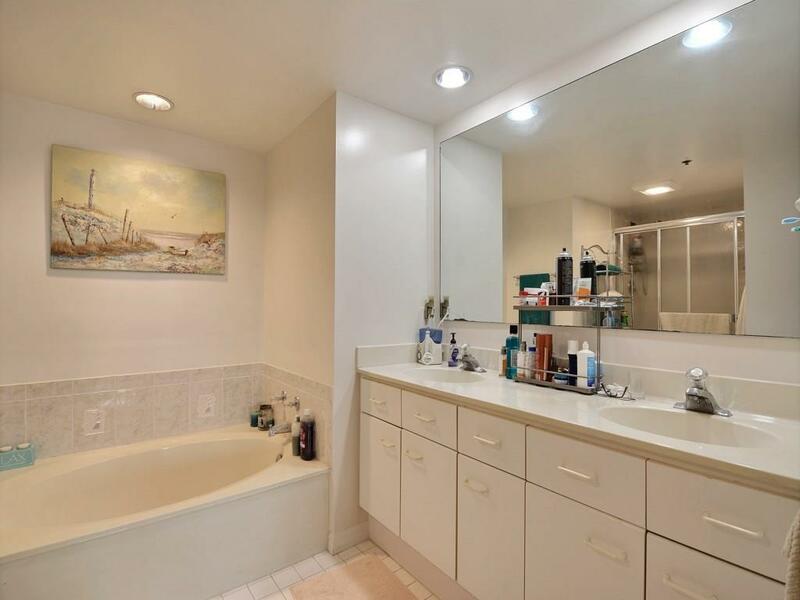 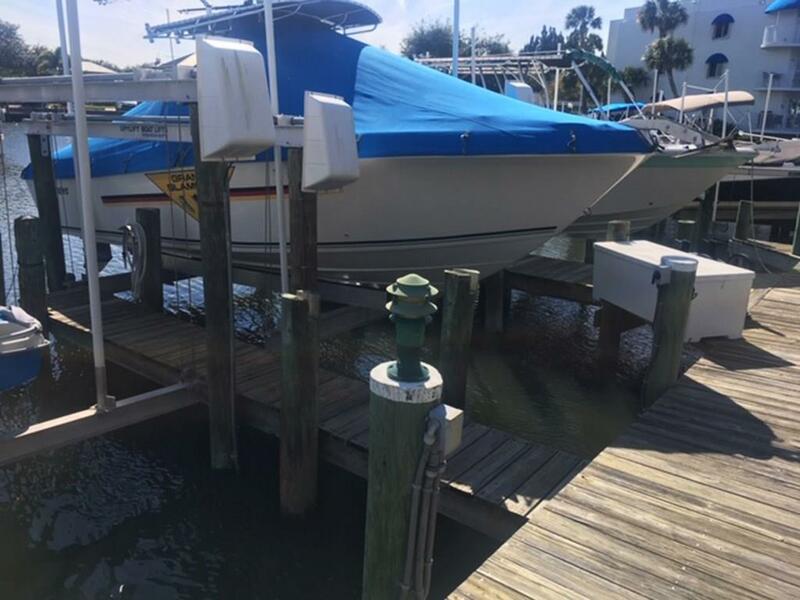 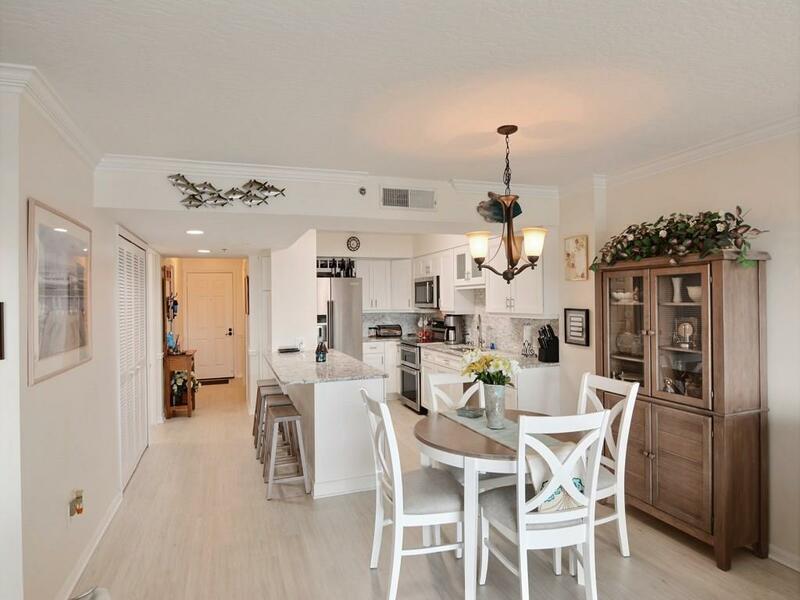 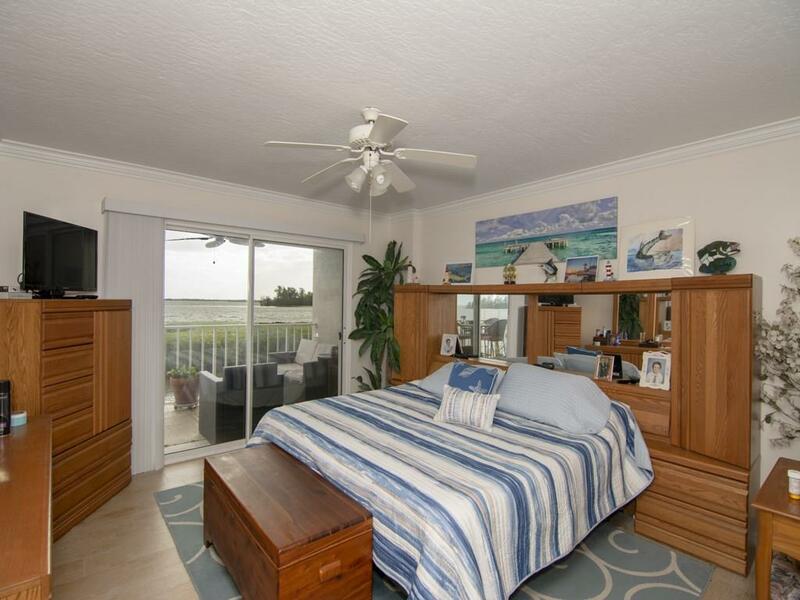 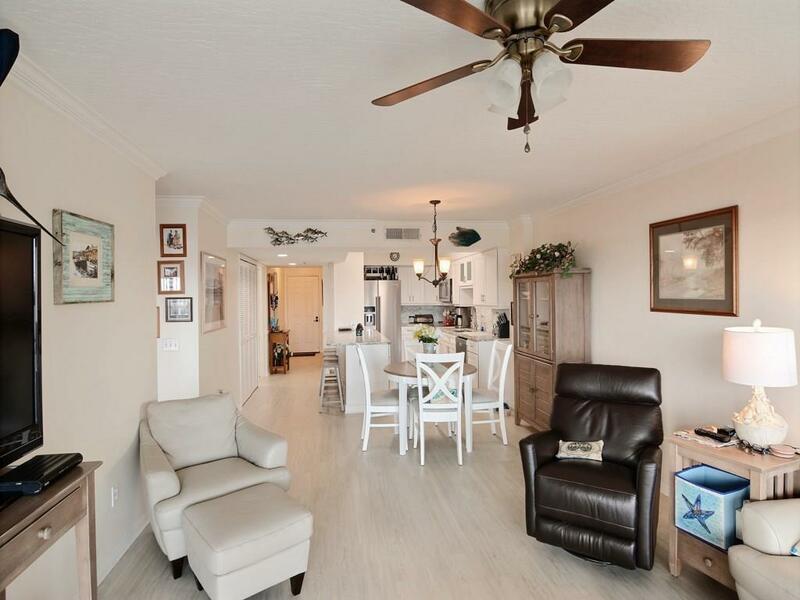 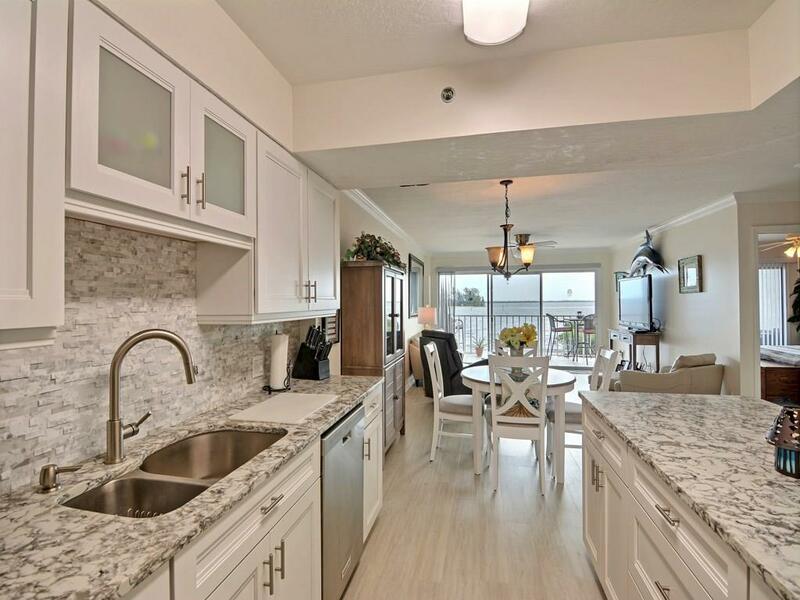 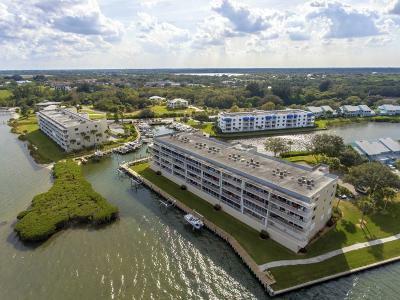 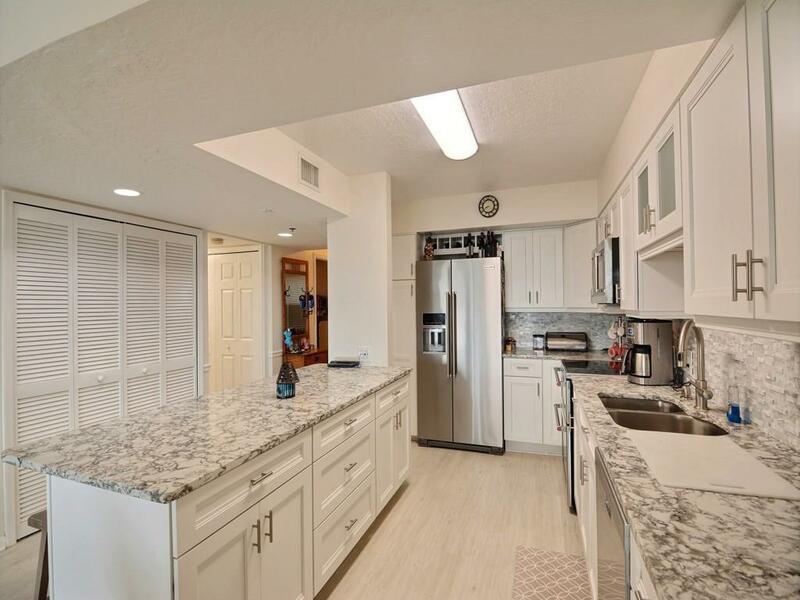 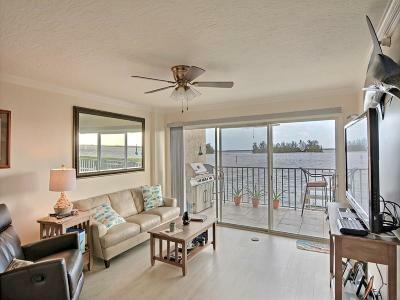 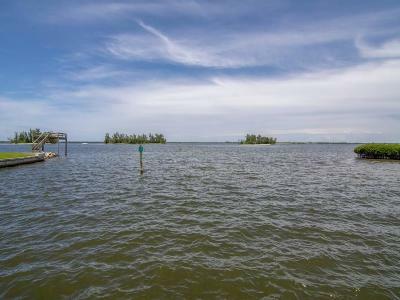 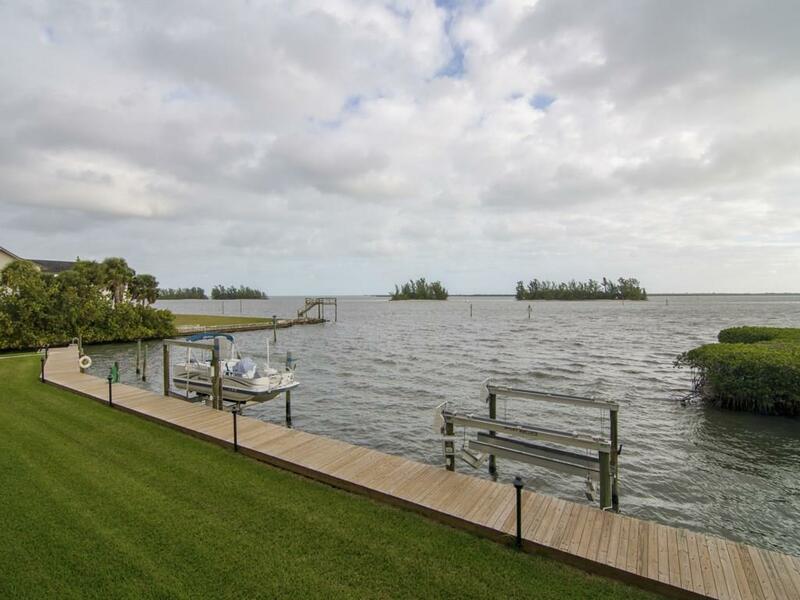 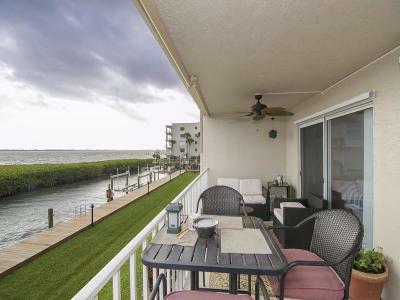 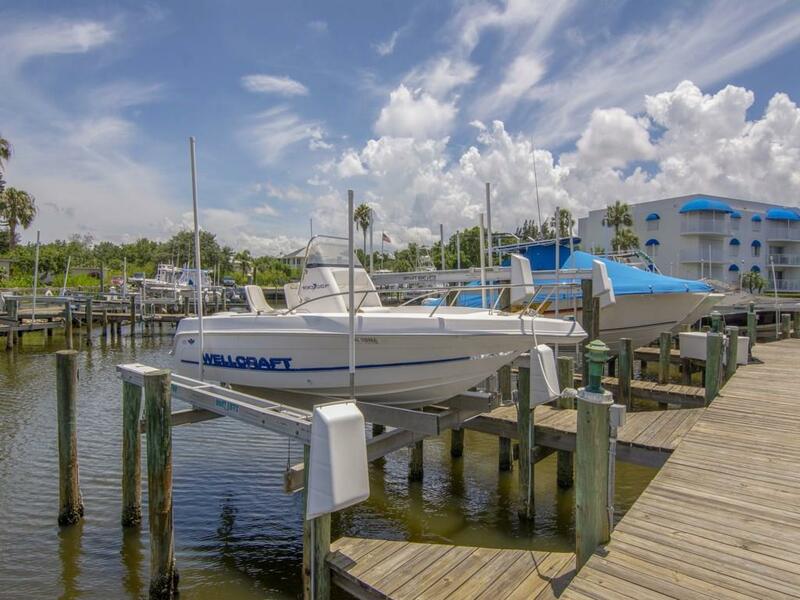 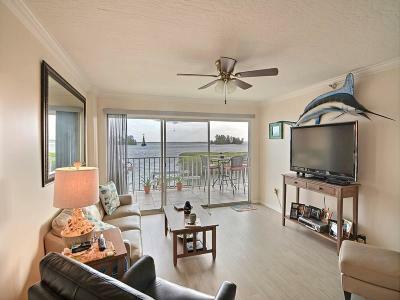 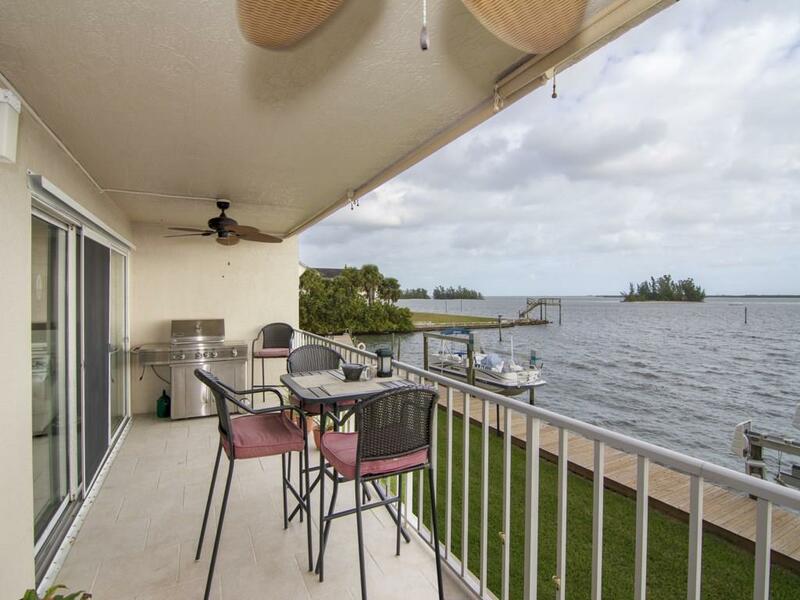 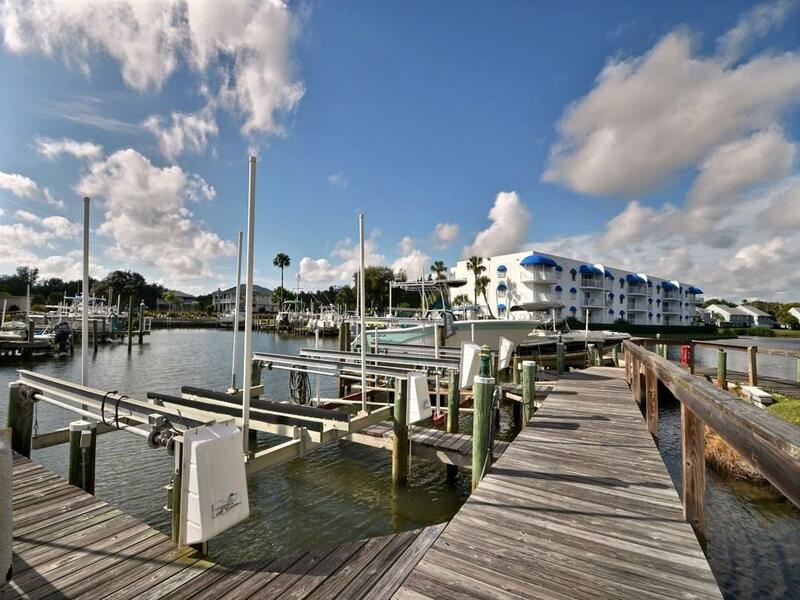 Riverfront Paradise in Remodel 2/2 with Den/Office, Island Kitchen, Stainless, Quarts, Custom Cabinetry, Soft Close/ Pull Out Shelving, Wood floors, 27 ft Covered Balcony, Majestic River Views. 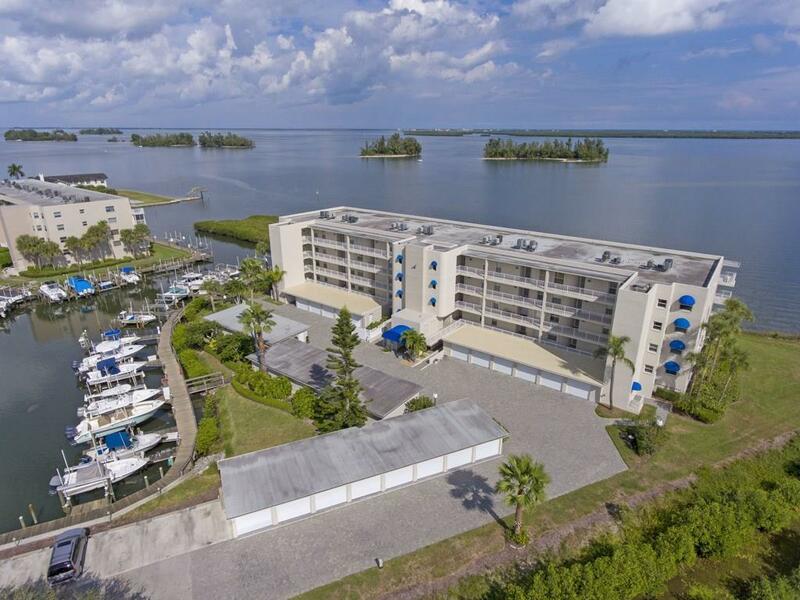 Lifetime of Soothing Sunrises, Dolphin, Manatee & Pure Nature Experiences. 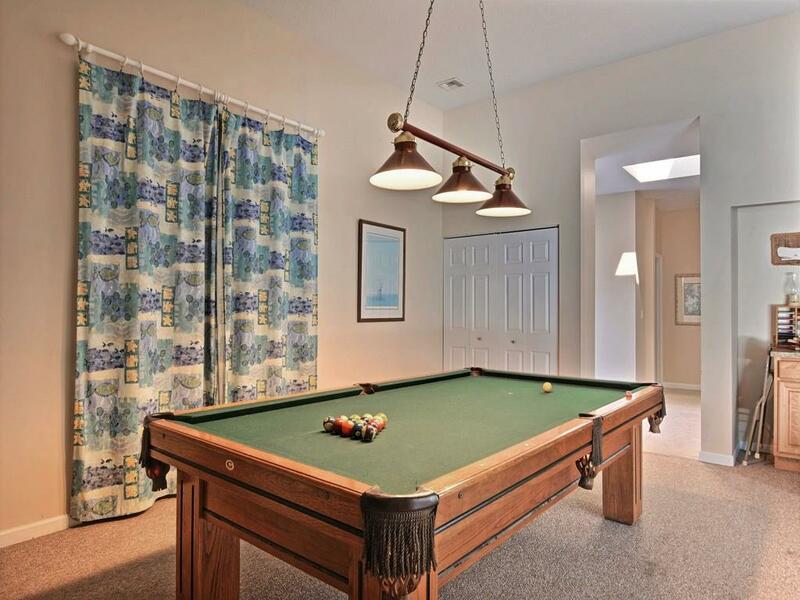 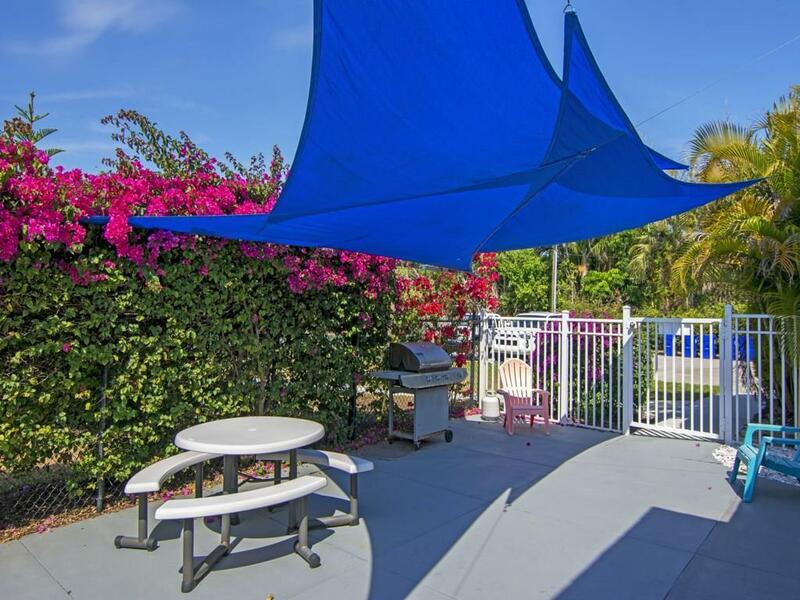 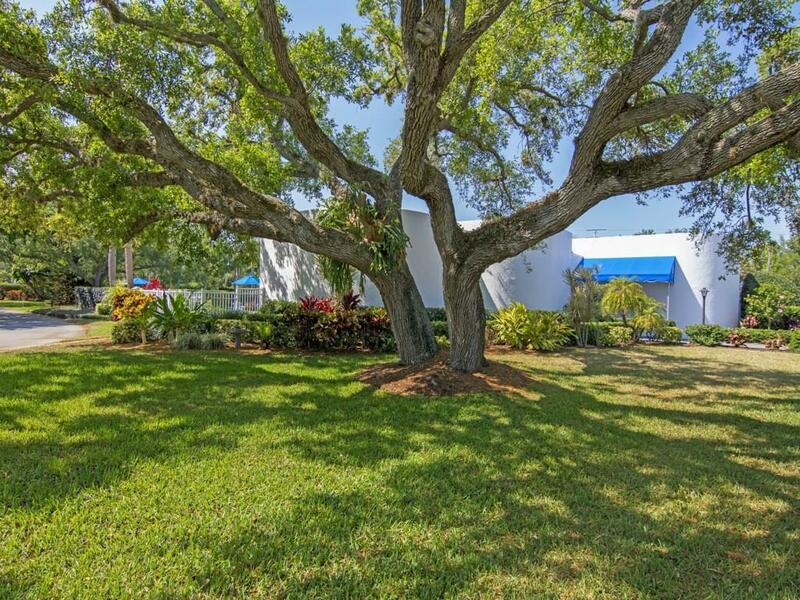 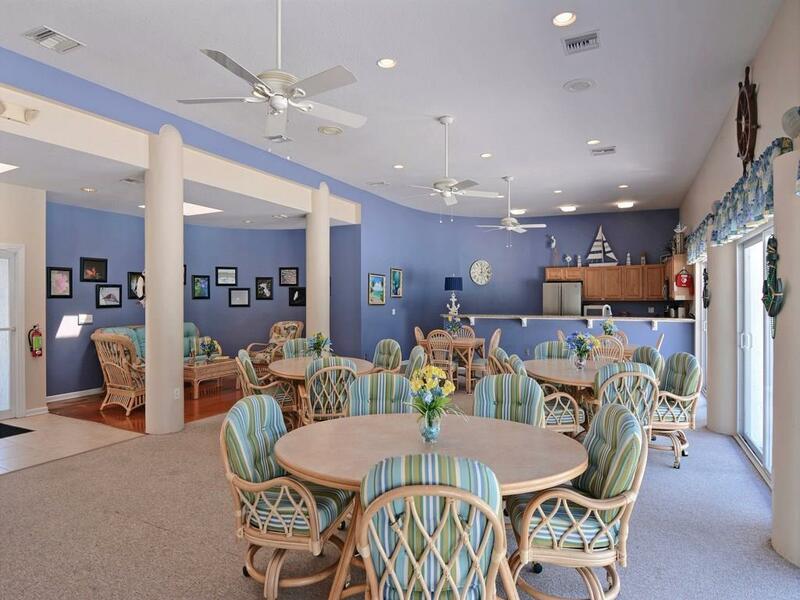 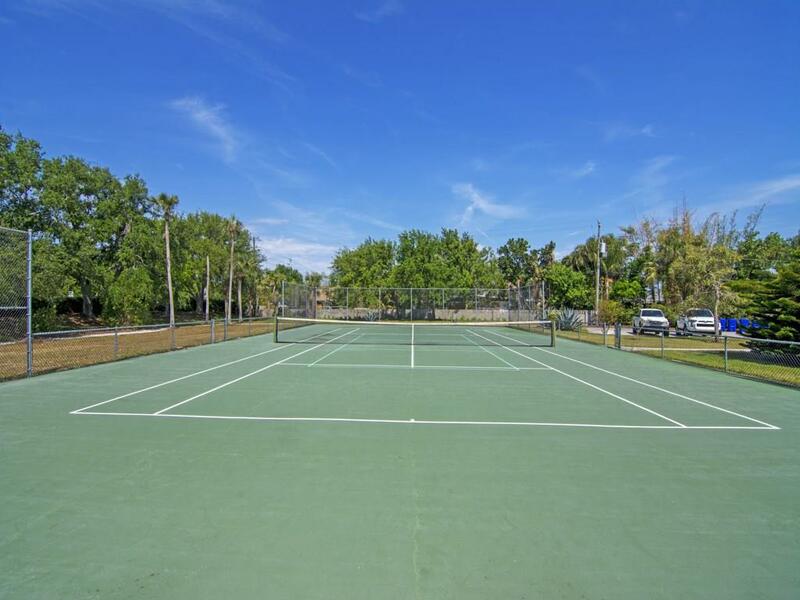 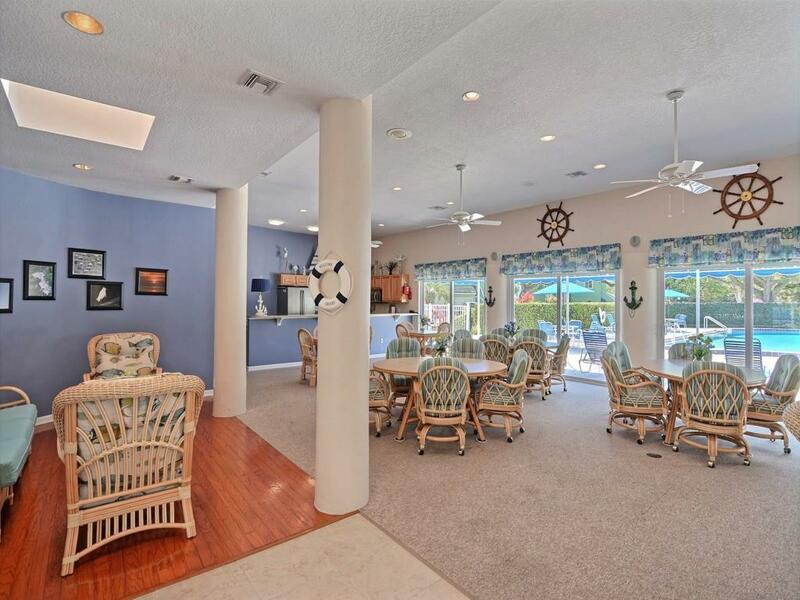 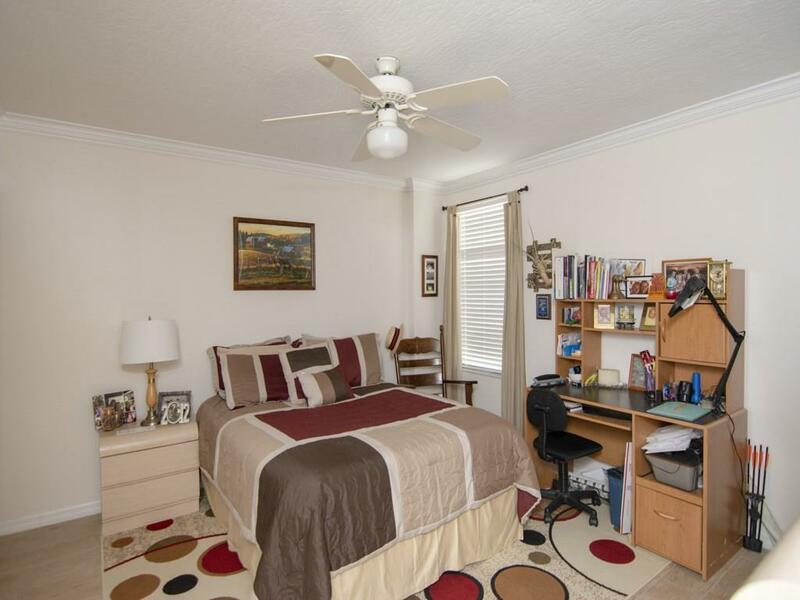 Clubhouse, Tennis, PLUS deeded 13X25 Slip/Lift 10,000 lb. 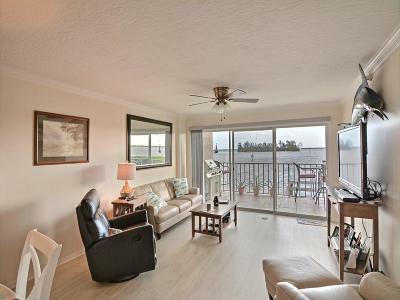 for $44,000 steps from condo. 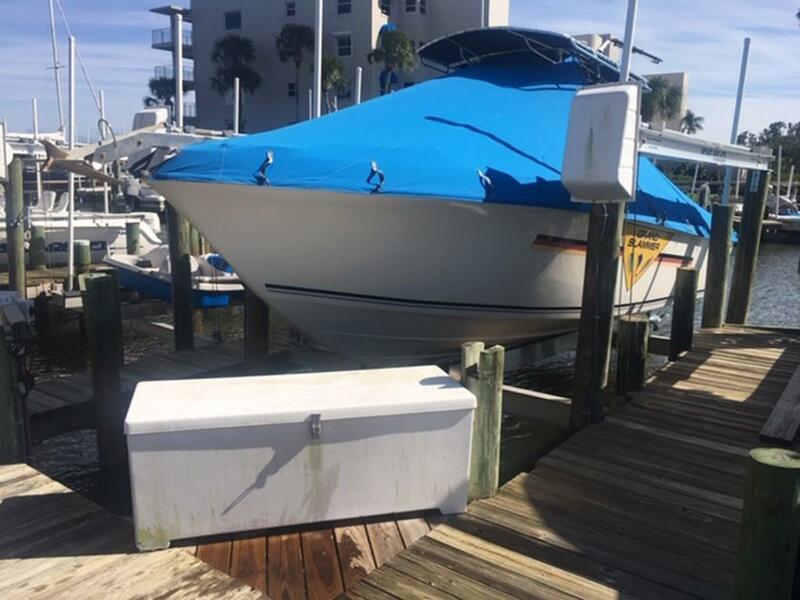 Sizes are approx/subj to error.